Most parents in the United States know little or nothing about an agency known as Child Protective Service. It is an agency operated by the states, usually under that name, that exists for the protection of abused and neglected children. The very name of the agency, and its purpose, sounds like a good thing. And in most cases it probably is. We all can agree that such a service is badly needed in these times of chronic drug and alcohol addiction when children often are born to unwed mothers or homes where they are either unwanted or the parents are unable to properly care for them. In my years working as a newspaper reporter, however, I encountered cases where Child Protective Services (CPS) appeared to be too aggressive, causing more harm than good in the homes the agency invaded. By Its very nature CPS operates under a cloak of secrecy. Jurisdiction is often handed down through Juvenile Courts, which also operate behind closed doors. Thus there is room for misbehavior. 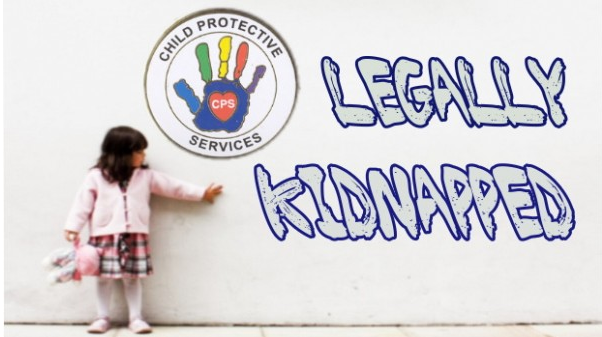 CPS agents appear to have the power to force their way into homes where child abuse is suspected, seize children, and place them in foster care without having to explain their actions to outside interests. Because foster parents are reimbursed by the state for the care of children placed in their care, the mechanism is in place for corruption that is so well protected that it has difficult to find. Investigative journalists, when they are looking at a potential problem, have difficulty getting to the bottom of it. I know because I have been too close to CPS issues in my years on the beat. I am reminded of my trials with CPS after reading of a South Dakota family that lost their three children after taking their baby to get medical attention. The child came home from daycare in November with a cut on its tongue. Hospital personnel contacted Child Abuse, a non-profit organization, which turned the case over to CPS. Without any proof of abuse, CPS agents forced their way into the home and seized all three children. They were placed in foster care. The family is fighting an uphill battle to get the children back. “It's happening all across the nation, but it's something state and medical authorities are afraid to discuss. It's something called medical kidnapping - the warrant-less seizure of children based on mere suspicion of child abuse. For example, if a parent disagrees with a medical diagnosis placed on their child and they want a second opinion, then authorities may label them "abusive parents." Child protective Services (CPS) is called in to "rescue" the child, taking custody, leaving concerned parents heartbroken and powerless. We will have more to say on this issue. This is the first of three reports on how CPS can damage people’s lives and break up families. What is problematic, once they are suspected of wrongdoing there is little parents can do to defend themselve’s or get their children back.